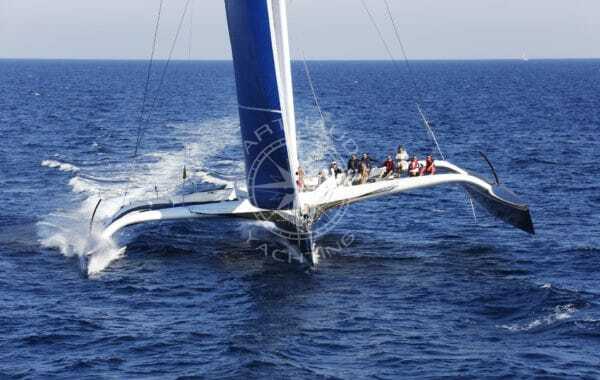 From Marseille to Monaco, stop over in Cannes for a change of scenery on board a maxi-catamaran. 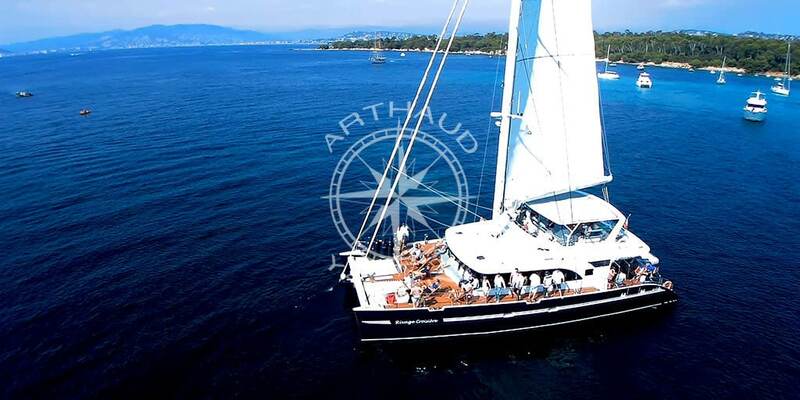 Charter a catamaran in Cannes with Arthaud Yachting! 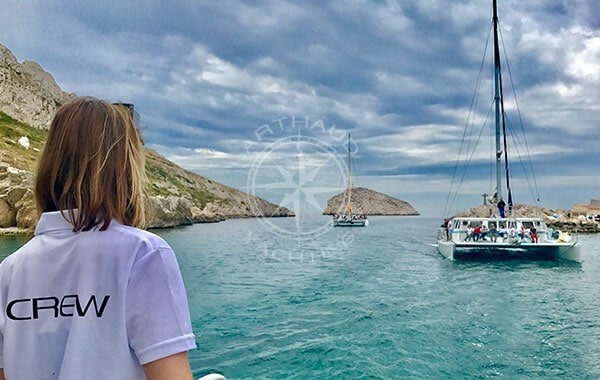 Key players in the organization of nautical events, Arthaud Yachting puts at your disposal around fifteen different catamarans and maxi catamarans for all your private and professional nautical projects: cruises with family or friends, day charters, incentive cruises, birthdays, weddings, product launches, follow of nautical events, etc. From Marseille to Monaco, stopover in Cannes for an exotic day aboard a maxi-catamaran and discover the picturesque landscapes of the French Riviera from the sea. Known worldwide for its Film Festival, Cannes is a city rich in heritage, natural parcs and wildlife sanctuaries; the Lerins Islands are in fact candidates for the world ranking of the UNESCO World Heritage Sites. 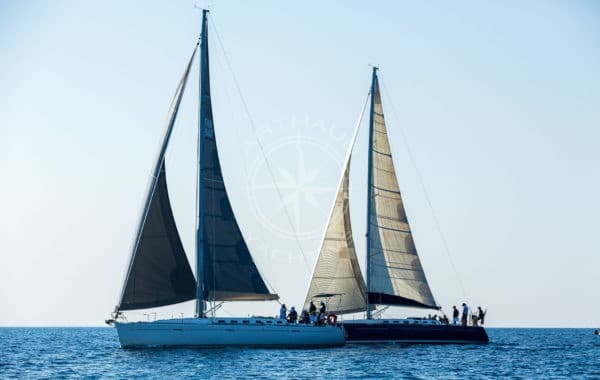 Half way between Monaco and the beaches of Pampelonne, Saint Tropez’s popular summer destination, allow yourself to be tempted and charter a catamaran or maxi catamaran in Cannes with Arthaud Yachting. 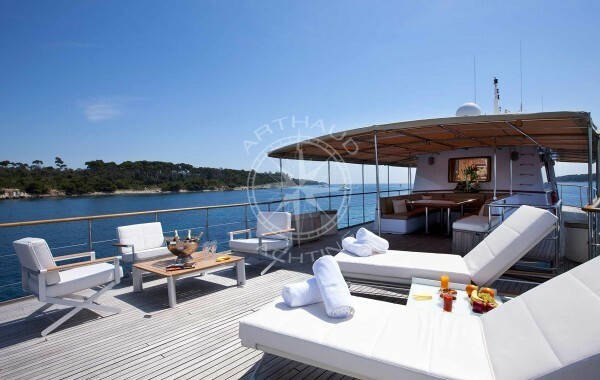 Cannes proposes numerous docking possibilities with around ten different pontoons on the private beaches of La Croisette and its four harbors at your disposal. 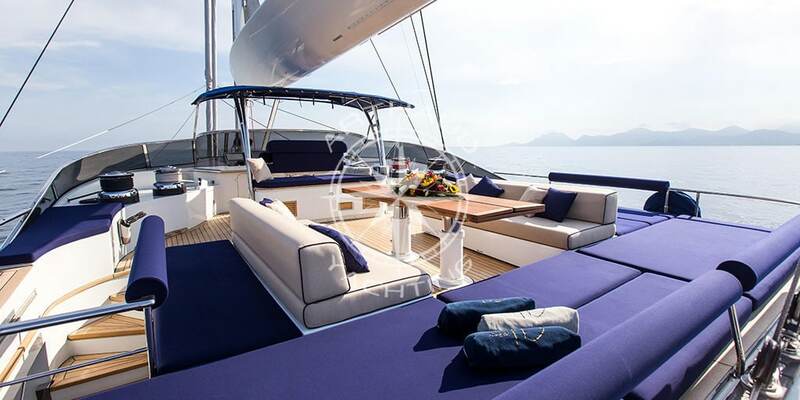 Friendly and spacious, our catamarans in Cannes guarantee a festive atmosphere! 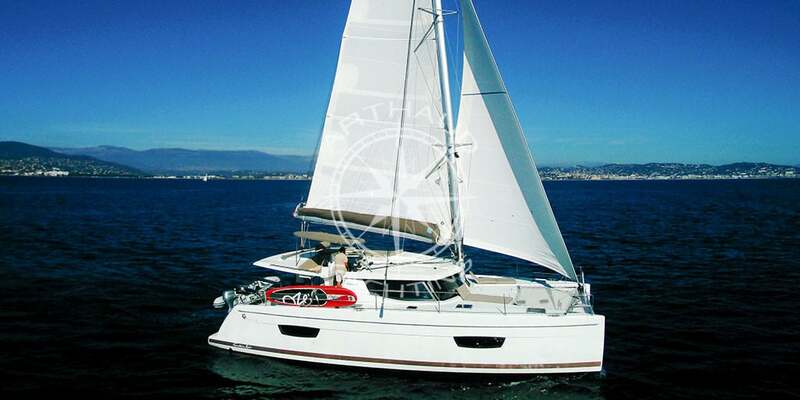 The maxi catamaran is a popular mean of transport which adapts to your desires. Their extraordinary dimensions and generous layouts put large areas at your disposal whilst allowing you to reach your points of interests at their closest. 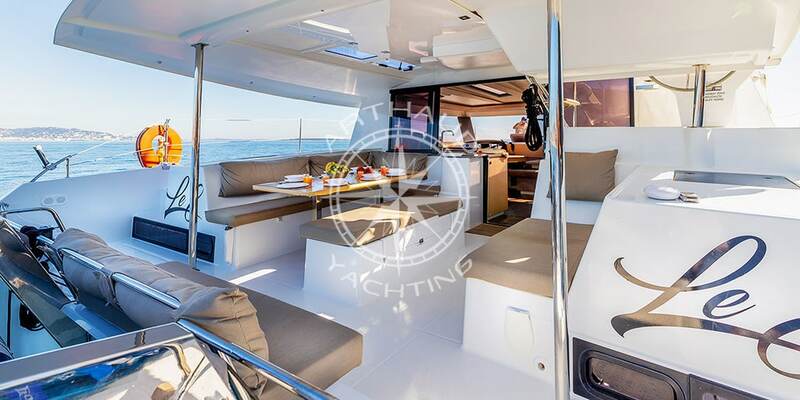 Their simple decoration and adjustable spaces leave you free to imagine how to personalize them to make your catamaran rental in Cannes with Arthaud Yachting a tailor-made event solution. 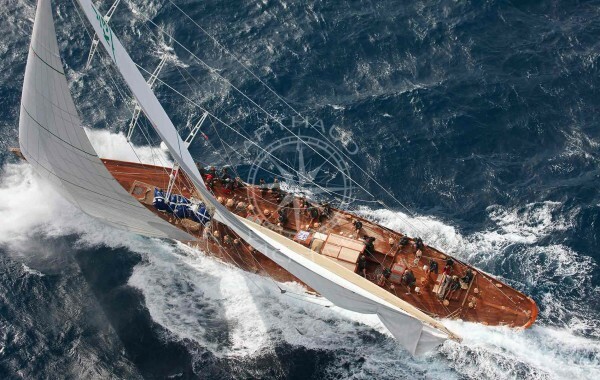 Hoist high your company colours, sailing is an activity with noble values, such as the respect of the environment, which brings together groups of people and presents an ideal marketing support. Vacations with families or friends for a dreamy holiday in utter relaxation. Numerous cabins onboard and large living spaces, without forgetting the comfortable and fun trampolines that entertain both children and adults, all these characteristics make these vessels one of the most popular cruising support. Incentive cruise on a maxi-catamaran, a corporate event to thank your clients and collaborators. 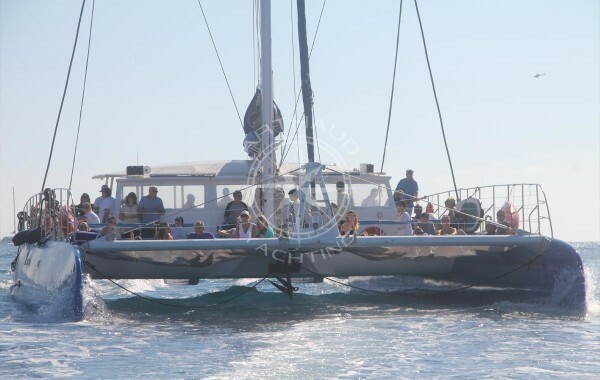 Opt for a maxi-catamaran charter and welcome up to 80 guests per vessel for a business event a sea! 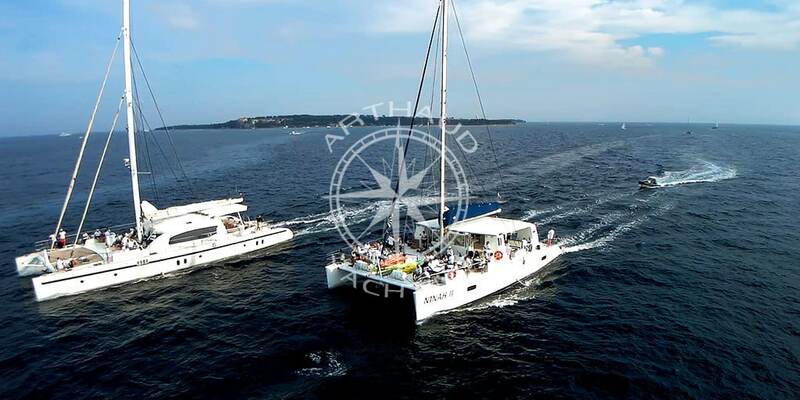 Product launches, cruises for influencers, press tours, seminars, business anniversaries, the catamaran rentals in Cannes with Arthaud Yachting are ideal for any type of event. Cocktail evenings, birthdays, weddings onboard maxi-catamarans, the perfect way to opt for a unique event venue with generous layouts and spacing at sea that will wow your attendees for your most important events. Most vessels are equipped with a barbecue plancha, choose to propose a buffet prepared by the crew with fresh products to your guests for a pleasant lunch in a friendly, colourful and light-hearted atmosphere! Embark aboard our maxi-catamarans in Cannes and follow some of the biggest nautical events of the French Riviera. Want to set sail? Opt to attend the Red Bull Air Race in spring with front row seats to watch the impressive accomplishments of the world’s elite air pilots. Looking for a day to ally prestige and authenticity? 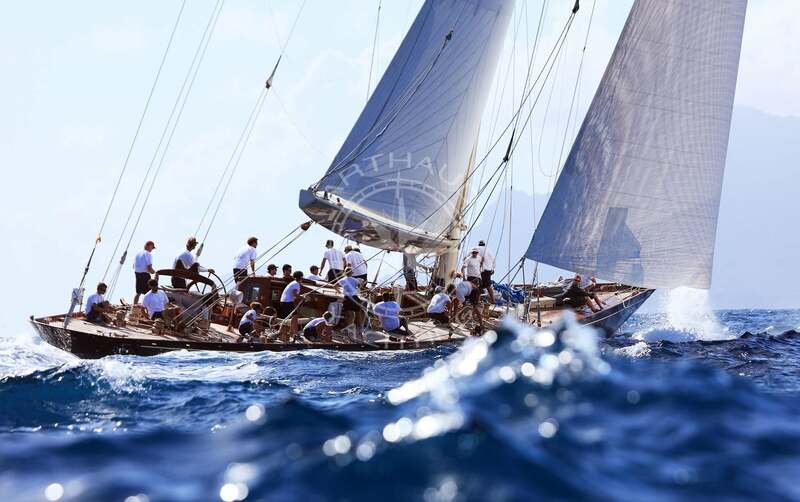 Rendezvous at the Cannes Royal Regattas in fall to watch one of the biggest regattas worldwide which regroups hundreds of classic yachts that will be sure to seduce both classicist and amateurs of the sailing industry. 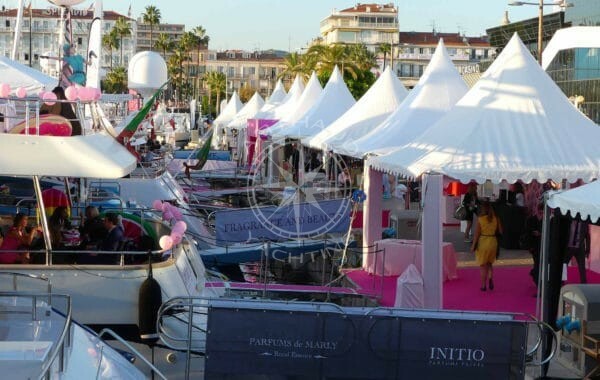 Although Cannes proposes countless fabulous events, the other cities of the French Riviera are also adepts in organising international events such as the Voiles de Saint Tropez or the renown Monaco F1 Grand Prix which you are also able to watch from the deck of your private Maxi Catamaran. Feeling adventurous? Jump into the water and go snorkelling to discover the seabed of the bay of Cannes classed Natura 2000. 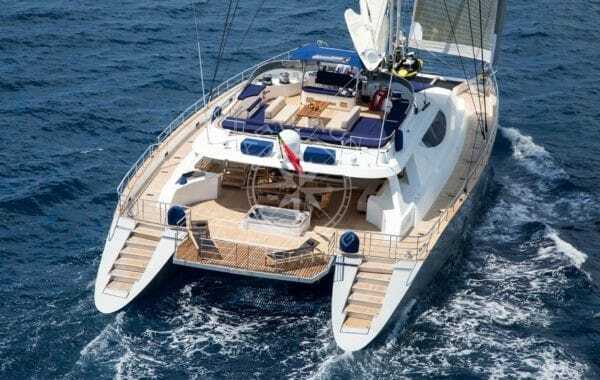 Most of the maxi-catamarans put at your disposal a private tender service which will allow you to disembark on some of the most secluded areas of the French Riviera and as a VIP on all the private pontoons of the famous Cannes beaches. Sail to your desires along the French Riviera aboard your private maxi-catamaran charter and discover Cannes from the sea as well as on land. 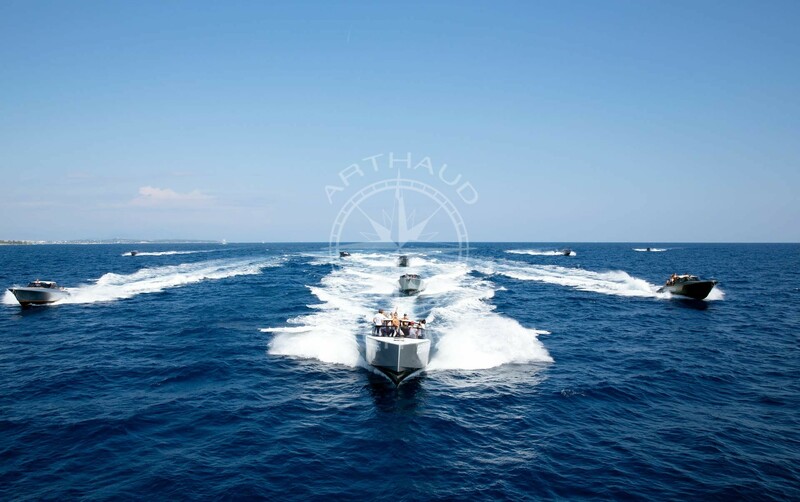 Entrust Arthaud Yachting. 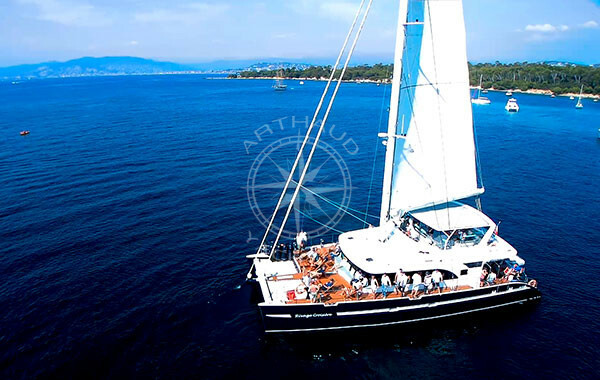 With a fleet of around 15 catamarans, our team of project managers are able to propose the correct vessel for you. From our smaller units ideal for family outings to our larger maxi catamarans adapted for both small and large groups, over half of our fleet presents vessels built in the last two years. A recent and maintained fleet which will adapt to all your projects in Cannes.